It is natural that Constantin Chatov's work has a musical feeling. The renowned portraitist, whose clientele included hundreds of prominent people including the portraits of Margaret Mitchell, Clark Gable and Vivian Leigh commissioned by MGM, began his career as a concert pianist in Russia. As a young man, Constantin studied music at the National Conservatory of Music in Rostov, an affiliate of the prestigious St. Petersburg Conservatory of Music. During the Russian Revolution, when Lenin gained power in 1922, Constantin and his brother; Roman, and his parents fled their homeland for New York. "We left Russia because of communism," he said. Constantin studied music at the Curtis Institute of Music in Philadelphia under the legendary Isabelle Vengerova. He was a concert pianist in New York and an accompanist for the Ballet Russes, headed by Michael Mordkin, where he accompanied many famous ballet stars, including Anna Pavlova and Nemchinova. Constantin developed a severe carpal tunnel injury in his right hand which ultimately ended his professional career as a concert pianist. In the 1940's he traveled Bermuda. 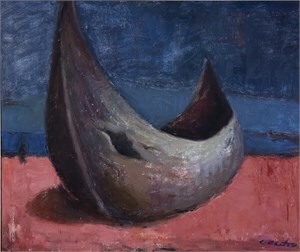 In 1950 he began a new career; following his artistic passions into the world of painting. 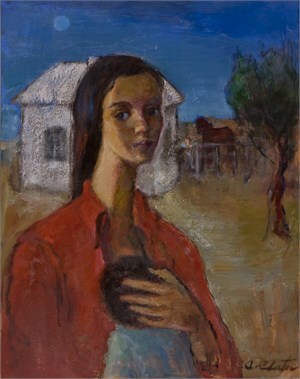 He studied under Robert Brackman at the Art Students League in New York and by the 1960's was acclaimed for his figure studies, paintings and portraits. 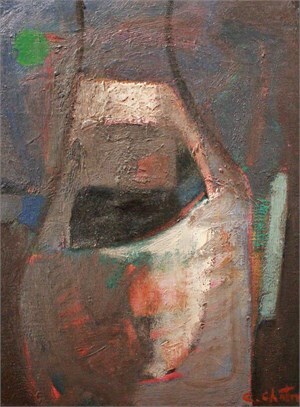 Settling in Atlanta, Georgia, in 1962 Constantin and Roman opened a studio together and taught art classes in addition to their commissions. Constantin became an influential member of the arts community receiving, among other awards, the 1983 ‘Governor's Award in the Arts' from the Georgia Council for the Arts and Humanities. Mr. Chatov's works have been shown in galleries and museums on both continents and are represented in many private and corporate collections.